Wang Zhimin, Beijing liaison office head says Hong Kong does not have a special status with regards to maintaining national security. Beijing’s top official in Hong Kong said the conviction of nine leaders in Occupy protest manifested the spirit of Hong Kong’s rule of law, RTHK reports. 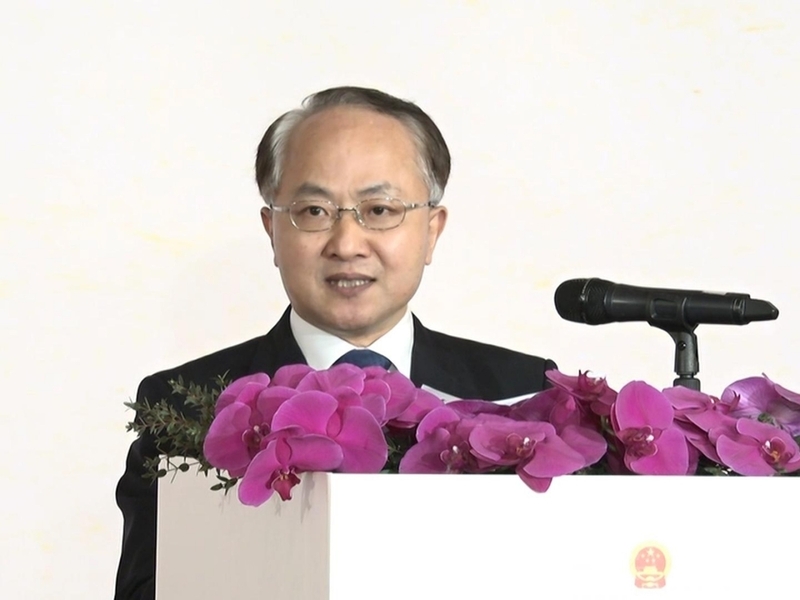 Speaking at a seminar on national security, Wang Zhimin, the director of Beijing’s liaison office in Hong Kong, said the court clearly drew a legal “red line” with the judgement. He said it is an important page for Hong Kong, and that many citizens felt it is a victory for the SAR. He said the illegal movement disguised in the name of justice was an insult to justice itself and caused serious damages to Hong Kong’s rule of law. He questioned why citizens have to "foot the bill" that resulted from the damages caused by Occupy leaders, and why these people still don't show any remorse. Wang said without national security, people here will not enjoy social peace. He said Hong Kong should deeply reflect on what it can learn from the painful lesson and tackle its shortcomings in terms of upholding national security. He said the SAR does not have a special status with regards to maintaining national security, that even though its run under two systems, it only has the responsibility of “One Country”. Wang also accused some unnamed HongKongers of getting much public money and meeting foreign politicians and groups that “oppose China”. He accused them of trying to bad name the SAR and wish for foreign intervention, betraying Hong Kong for their own benefits. Wang said many Hong Kong people find this shameful, and this is spurned by the entire Chinese population and ancestors.